The injection machines use a new part cooling and handling system as PET preform molding equipment. Unlike most of the post-mold cooling and handling system, the machine features cooling on the inner surface of the preform without using compressed air. Besides, it has optimized cycle utilization, which is mounted on the moving platen, so the cooling system remains active for up to 85% of the overall cycle. 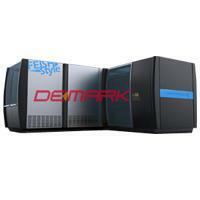 The Demark PET injection machines are available from 280 to 500 tonnes (2800 to 5000 kN) and up to 72 cavities. The systems offer the equipment faster cycles, smaller footprint, rapid set-up, improved repeatability and even reduced energy consumption. The machine with reflex platens decreases mold wear and at the same time, improve part quality. It can allows for 10-30% lower clamp tonnage to distribute clamp force evenly across the platen face. 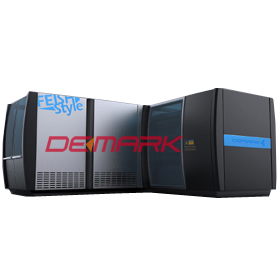 As for the units for the injection machines, Demark systems offer both reciprocation screw(RS) and two-stage injection units. RS units offer the performance required many PET applications while two-stage is appropriate for higher throughput applications. The linear bearings in the equipment support the mocing platen directly on the machine base. With this design, it can reduce mold wear of the injection machines by improving platen alignment and perpendicularity and provide a grease free molding environment. How do you manage the PET production systems after you order? We apply PC-based to control all the functions from the machine, with optional packages to integrate auxiliaries and downstream part handling equipment. These make our injection machines stand out with numbers of advantages, for example, the system provides faster cycle times, improved shot-to-shot repeatability and remote-connect through ServiceNetLink. Moreover, the control of molding system and auxiliaries will fron a single interface for easy controlling. So, if you are interested in our products, please do not hesitate and make your inquiry today! We are ready to serve you the best!